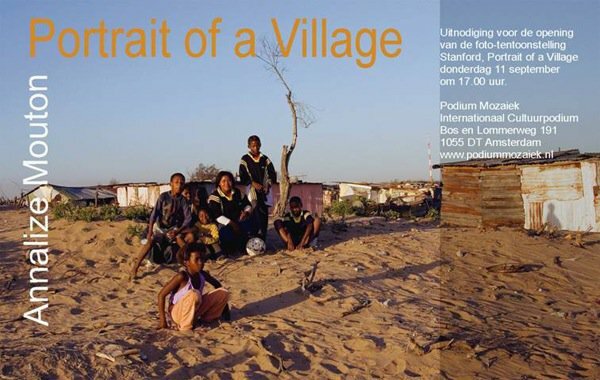 Stanford 150, Portrait of a Village, was launched in February 2008 and attracted attention both from local reviewers and overseas. “Annalize’s unique style of capturing natural light and the essence of her subjects”, resulted in an invitation from people in the Netherlands to have my photos, which have been likened to the painting style of the great Dutch masters, exhibited there. An exhibition of 22 photos was on show in Podium Mozaiek in Amsterdam Bos en Lommer (www.podiummozaiek.nl) a stage dedicated to cultural diversity, and in the Scagon theatre in Schagen. And in January 2009 the full selection was on show in the Suid Afrika Huis on Keizersgracht in Amsterdam. 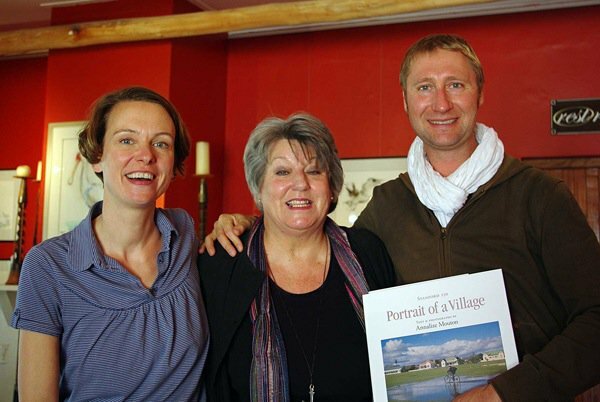 On 25 October 2008 I received a surprise visit from a German couple, Claas Spitz and Alexandra Sprockhoff who spotted my book at “The Retreat at Groenfontein” near Calitzdorp in the Klein Karoo and were “captivated”. They promptly changed their itinerary and drove to Stanford, where they met Annalize on 25 October 2008. Claas and Alexandra told the story of the Lüchow project, and how they in turn had been inspired by the book produced in Fermignano. Annalize at that stage had already accepted an invitation from the Arts Association of Bellville to exhibit her photographs in January 2009, so she suggested that the three villages all show some of their photographs. 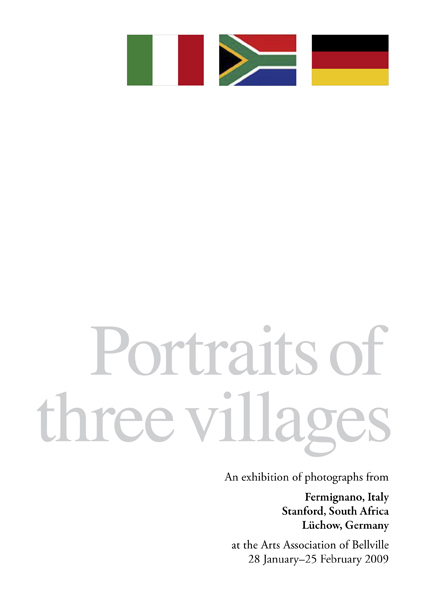 Claas immediately telephoned Dirk Roggan in Germany, who phoned Gustavo DeLuca in Italy, and everything was agreed to for a combined exhibition – Portraits of Three Villages. Still later in 2009 combined exhibitions, like the one in Bellville, were held in Fermignano and also in Lüchow. Perhaps the book and the subsequent exhibitions were small glimpses of heaven on earth, of how it could be.